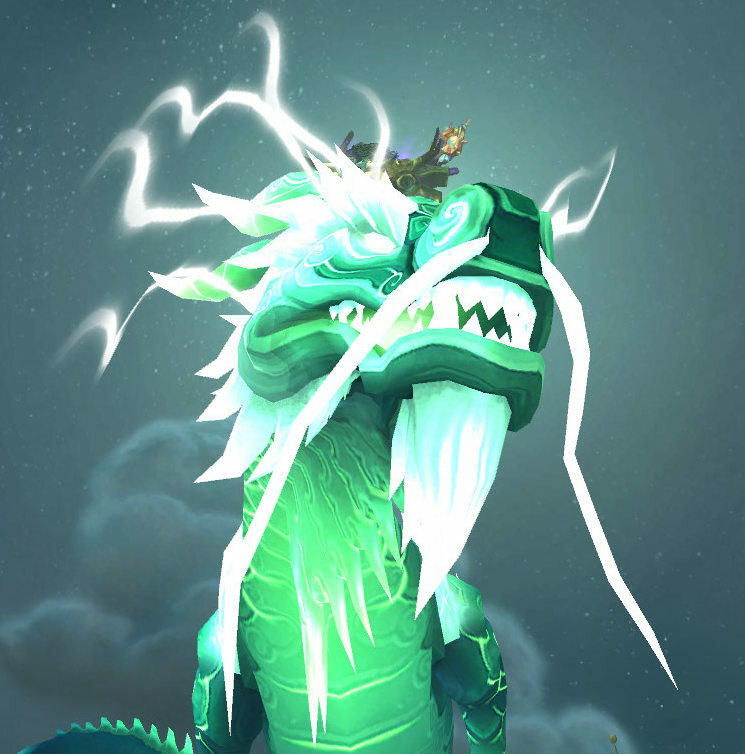 After Hellfire Peninsula, the next stop is Zangarmarsh. 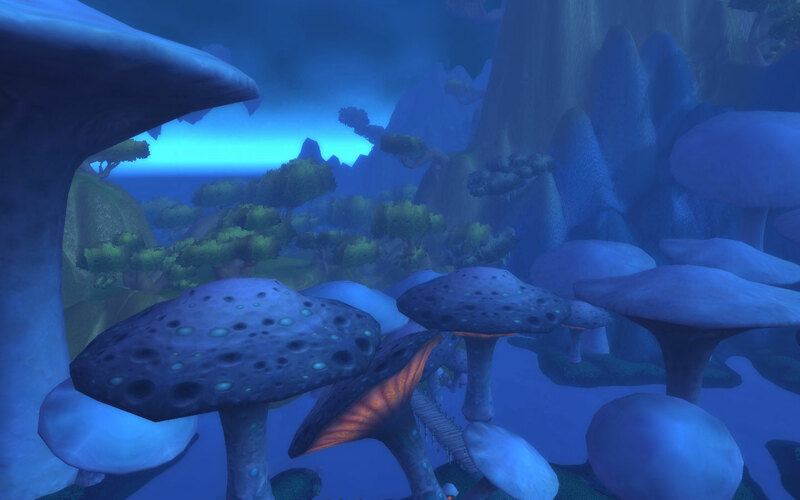 Whereas Hellfire looked a lot like the Blasted Lands, and wasn’t too “alien”, Zangarmarsh is a completely brand new world. 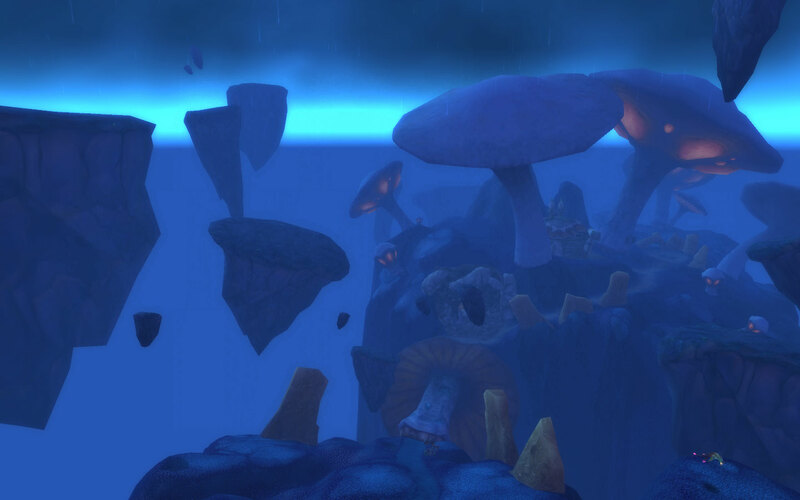 It’s basically a reminder of the Warcraft II expansion set “Beyond the Dark Portal”, as there were forests of mushrooms there. 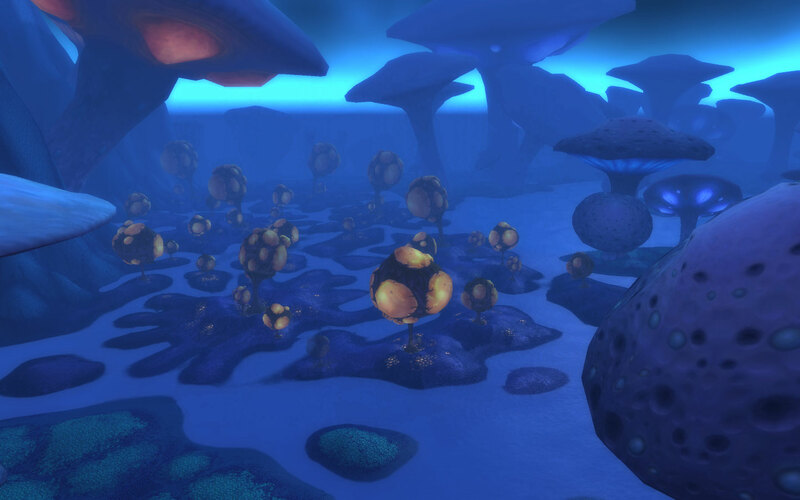 Well, here’s your forest of mushrooms! 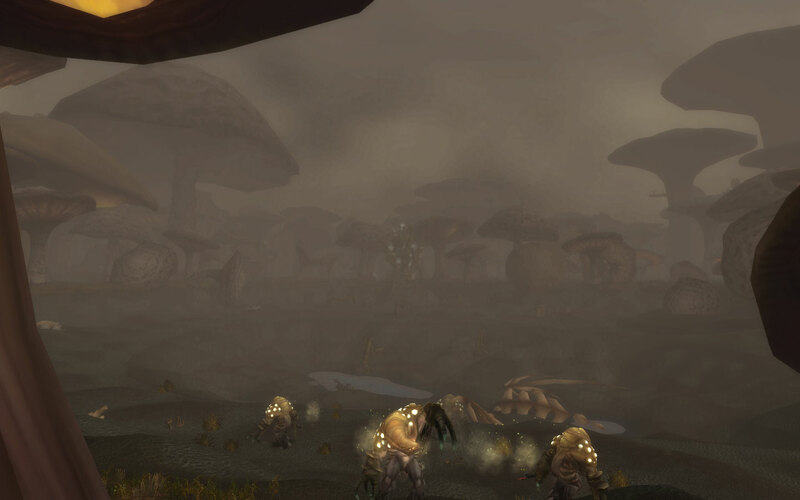 Starting in the zone, characters would have breadcrumb quests leading to Cenarion Refuge, and their respective faction camps of Swamprat Post for the Horde or Telredor fot the Alliance. 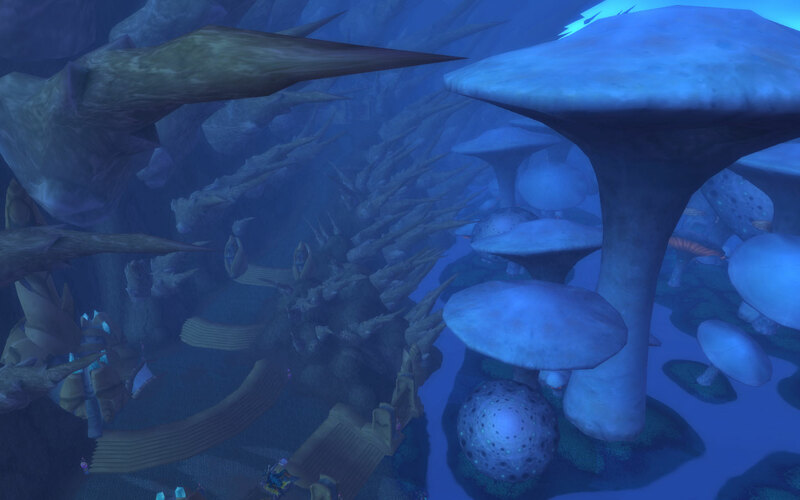 I must admit that I was always a little choked that the Alliance got this amazing looking outpost built into a mushroom, and the Horde just gets a generic Troll camp. 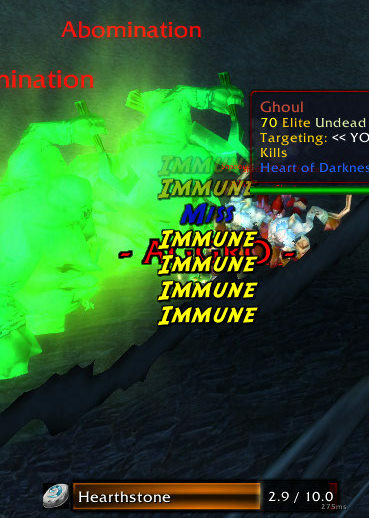 The quests here would take up half the zone, eventually leading west. The zone’s story has a lot to do with the Naga, and how they’re draining the lakes for their own purposes. They don’t say exactly what purpose that is, but I think it’s along the lines of: “It’s MINE! Go away!” The Dead Mire is an example of what happens to an area once the water has been drained out completely. Among the inhabitants affected by this are the mushroom people of Sporeggar. There are some quests to help them out, and a faction associated with them. 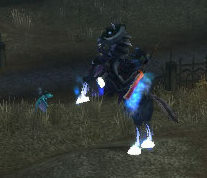 The rewards include a non-combat pet, but it takes a very long time to get the reputation required. 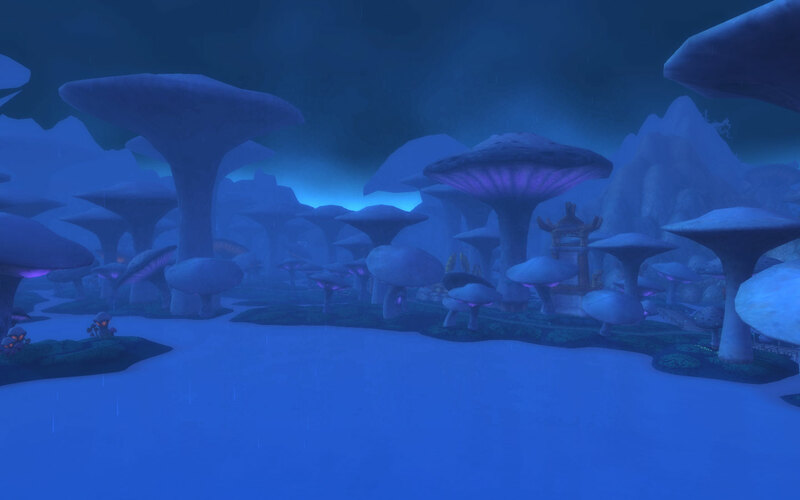 The west side of the zone dealt mainly with the Ogres, and that they were chopping down the mushrooms for themselves and messing things up for Sporeggar. 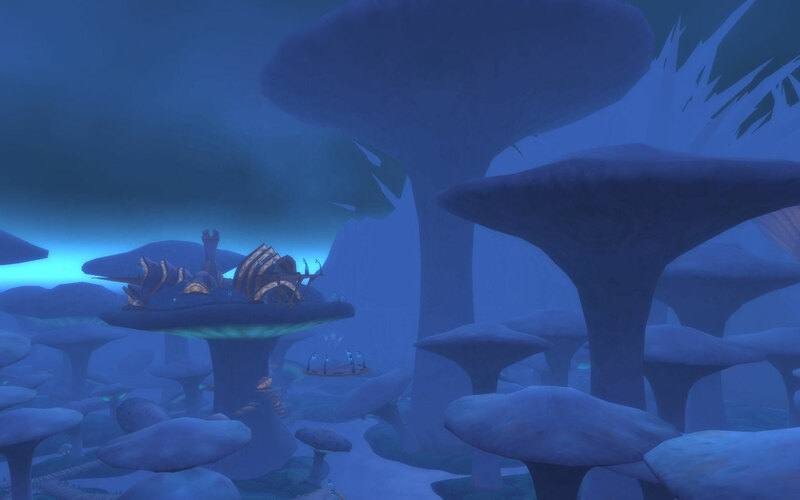 Because the fungal giants didn’t have mushrooms to eat, they decided to eat Sporeggar’s young while they were growing in the Spawning Glen. It’s up to the player to go and crush the Ogres at their stronghold, which is a small island using a downed mushroom as a bridge. Altogether you get to lay a beat down on a bunch of things to try and bring things as close to normal as possible. 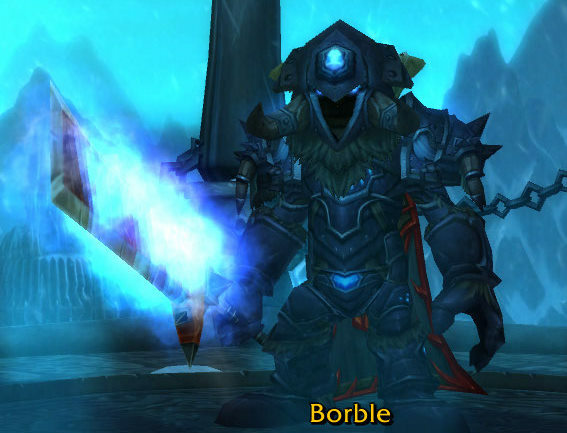 After Zangarmarsh, it’s off to Terokkar Forest – normally. 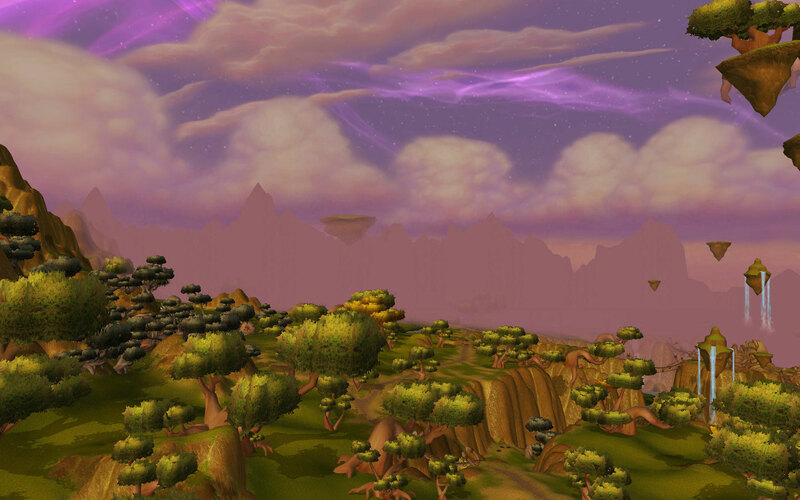 I try to skip Terokkar, as I’m not too fond of the zone, so I try to go right to Nagrand. 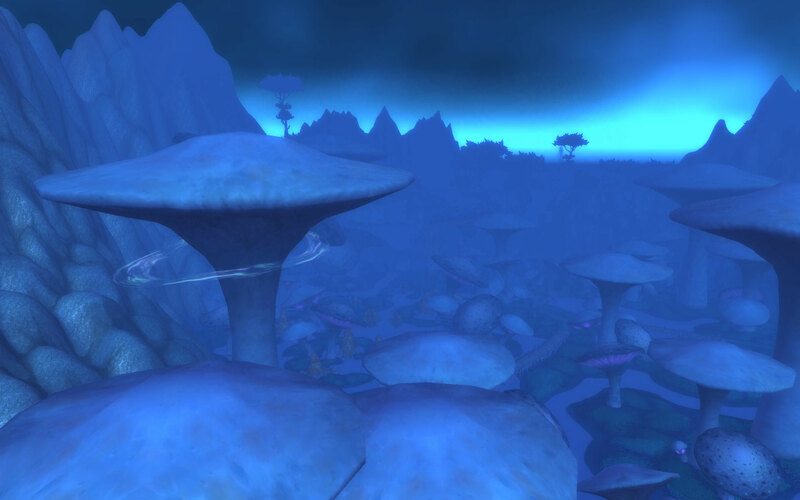 There are entrances to Terokkar, Nagrand, and Blade’s Edge from Zangarmarsh, very much the crossroads of the continent. Even though I said my next Memories of Azeroth post would be coming this past week, unfortunately real life got in the way. It should be up this coming week. 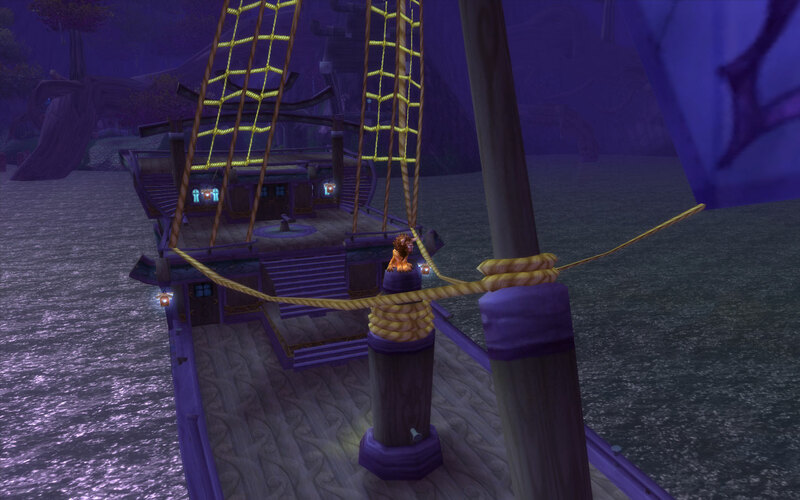 A while back when I was working on my Explorer achievement, I was able to have a nice view on the Night Elf boat from Darkshore to Teldrassil. Looking back at this makes me extremely glad that the old cat form model is ancient history. 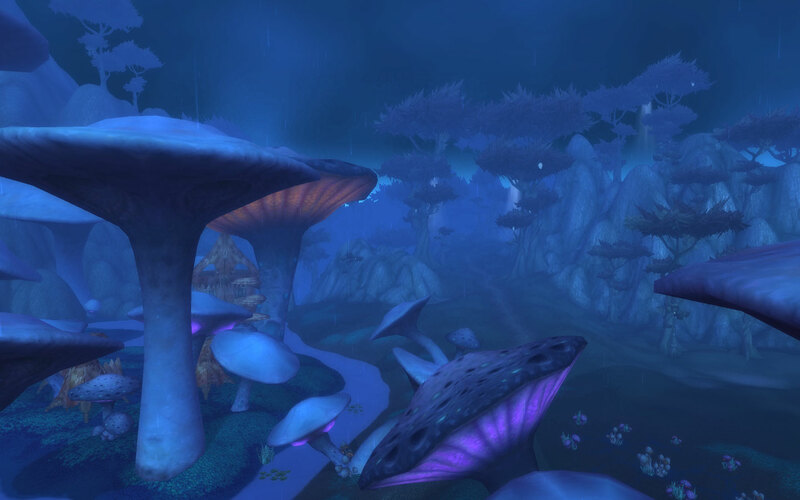 My hunter just finished leveling through Nagrand again, and I can never get enough of the zone. It truly is absolutely beautiful – I could have a post full of the many different areas of it. Not only that, but after reading Rise of the Horde by Christie Golden, I can appreciate the history of Orcs that is throughout the zone.